Currently, MagicWandMassager.com only ships the Magic Wand Original and Magic Wand Rechargeable within North America (United States, Mexico & Canada). If you are inquiring about other items, please contact us for shipping options to your location. How old do I have to be to order from you? You must be at least 18 years old or the legal age in your country to view or purchase products from MagicWandMassager.com. If you are not of legal age, you must leave our website immediately. My tracking number doesn’t work. Can you help? Tracking numbers from USPS and many other carriers do take anywhere from 24-48 hours to show/register online. The link to your tracking number we send you may not show an update when you receive initially or may show invalid. In most cases, the tracking number is not invalid and just hasn’t updated from our shipping carriers systems yet. Please make sure 3 days from the date of purchase has gone by before reaching out to us for support. Thank you for understanding! Do you offer any coupon or promo codes? From time to time, we do offer sales and discounts with special coupon codes. Join our mailing list for these exclusive offers today! 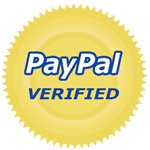 We currently accept Visa, America Express, Discover, Mastercard and PayPal. I found an item for less somewhere else, do you match prices? Yes, we match prices on items which are sold on other stores or websites from authorized dealers who abide by all Manufacturer pricing rules. If you have an inquiry about a product you would like to purchase from us but found it elsewhere cheaper, please contact us and we would be more than happy to discuss some options with you. Do you provide Overnight Mail Service? Overnight mail service isn’t a very cost effective option for our customers which is why we don’t offer this as a standard shipping option. If you must have your order in 1 day, please contact us for specific arrangements that may come with an additional cost. All orders are usually shipped within 24 hours or less. If there is a delay in our shipping turn around time, we will update you via email or phone. Novelty toys in general are made from different types of material which could potentially irritate your skin if you have any known allergies to certain materials. We do use the most high end materials when manufacturing toys so have the full confidence that you are purchasing a quality product which will last for years. If you have any concerns about use, please consult a physician first or before use of any novelty toy. In general, novelty toys are made of materials such as Silicone, PVC, Thermoplastic Rubber (TPR), Vinyls, latex, Glass and Steel. What is a bundle or package? A bundle is a group of items which are sold as a set for a lower price instead of the option of buying them separately. We sell unique packages on our website that brings you value and savings already built in. Of course you can buy these same items on our website individually if you prefer. Don’t forget to reach out to us if you want to have us create a custom package guaranteed to meet your needs! I would like to order over the phone, can I do that? Yes of course! Please send us a message with your contact number & information if you would prefer us to contact you at a certain time. Is my transaction secure with you? Your transaction is 100% secure with us and our payment processor is PCI complaint with all rules and regulations. Our website also has full protection with a 128 bit encryption on all areas, not just your payment submission location. We take security seriously and only go with trusted leaders in the secure transaction arena. Is there a warranty on the Magic Wand Original & Rechargeable? Yes, you get a full 1-year manufacturers warranty from the date of purchase which covers all manufacturers defects. Rest assured, if your wand stops working within a year, you are 100% covered. Is your shipping 100% discreet? Of course! We understand privacy and only ship plain boxes with no mention of what’s inside. No one except the person who opens the package will know what is inside your order. YES! All orders over $69 and within United States and incorporated US Terriroties are shipped with expedited USPS mail for free! Never worry about paying shipping costs again and get your order quickly. All orders over $69 are sent for free with USPS Priority Mail. This is the main shipping option we use since it provides super fast delivery with insurance and tracking details. If you need another shipping solution, please contact us. Due to the nature of the items we provide, we don’t provide returns. We are more than happy to answer any questions about any of our items before or after your purchase so please let us know how we can help. For more information, please refer to our shipping & return policy. How will my purchase with you show on my credit card? Privacy is very important for us. Your order with us will not show MagicWandMassager.com or anything close to this on your credit card statement. You will see our corporation name listed instead. Can I be guaranteed this is an original magic wand? Yes, you are buying the authentic Magic Wand Original or Magic Wand Rechargeable from a licensed, authorized retailer. Our massagers are guaranteed to be authentic and come with a full 1-year warranty from any manufacturers defect. Don’t be fooled by imitation wands that state to be the original for a lower price. If you have any questions, just contact us and we will be more than happy to help. Where is the Magic Wand Massager Made? The Magic Wand Original HV260 is designed in Japan and manufactured in China.